Media Statement – Carterton District Council acknowledges recycling frustration. Following recent comments from residents within the Carterton community regarding the poor communication of the reinforcement of the two recycling crate policy, Council would like to formally acknowledge the frustration felt and apologise for the inconvenience caused to residents over the busy holiday period. 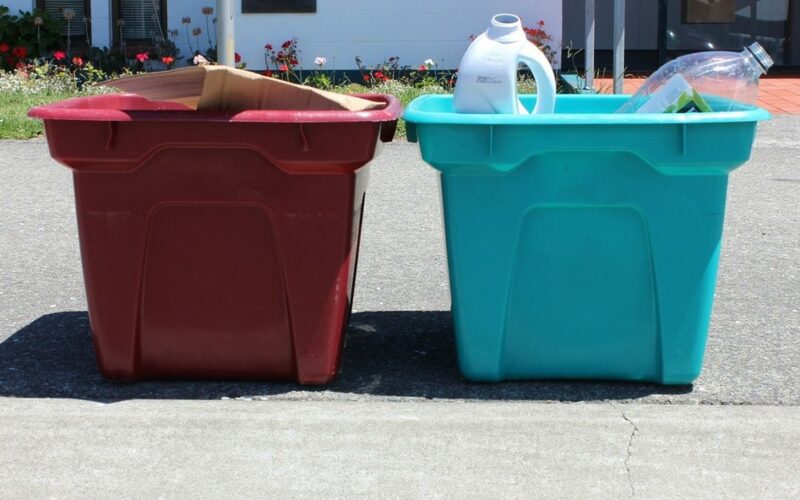 The current arrangement between all three Wairarapa Councils and the waste management contractor is to only collect two recycling crates from each household within the urban collection area. Households are able to purchase replacements from their local council offices, if their crates are lost, stolen or damaged. CDC Infrastructure and Services Manager Garry Baker explains that this can result in accumulating more than two crates in each household, which has resulted in an excess of recyclable material put kerbside. “While of course this has been a good response to the need to recycle more of our waste, it has made a lot of extra work for the contractor, and has resulted in extra hours to ensure they get to all households.” says Mr Baker. He says that we now need to look at our options for accommodating the extra recycling. CDC Chief Executive Jane Davis acknowledges that although an agreement is in place to only collect two crates, the decision to reinforce the policy should have been communicated earlier to give residents more notice. Ms Davis explains that following on from a recent waste minimisation survey, current media attention and residents correspondence, it has been reinforced to Council how passionate the Carterton community are about recycling. Carterton, as well as the other two Wairarapa Councils are collectively reviewing how waste is managed, with a focus on minimising waste to landfill. As part of the waste management and minimisation plan, the three Councils will be consulting on alternative waste management options through their Long Term Plan consultations starting in March. One of the proposed changes will be to introduce a wheelie bin for recycling and to overall increase the amount of recycling that will be collected. “Consulting on alternative recycling initiatives through the Long Term Plan process will give residents throughout the Wairarapa an opportunity to make a submission and have their say about how we manage our waste, and this will include our kerbside recycling collection,” says Ms Davis. As part of the consultation, CDC will provide costs associated with the options to ensure residents feel fully informed of the proposed options and can have their say on their preferences. Council have also noted the increase demand for increased hours at the Dalefield Road Transfer Station. For more information about kerbside recycling collection within the Carterton area please visit the Waste Management page .